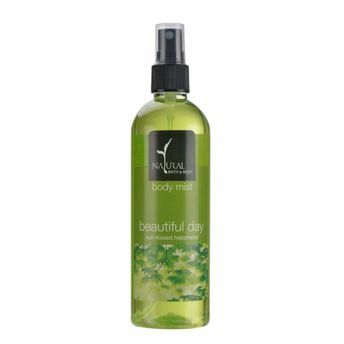 Our Beautiful Day Body Mist manages to captures a hint of happiness and a dash of sunshine in a bottle! Perk up your mornings with a fragrant burst that blends floral top notes with nuances of fresh zesty-ness. An infusion of Organic Vegetable glycerine makes this Body Mist gentle on the skin.This gorgeous aromatic expression completely envelops you, to ensure that you'll have your sunny side up, all day long! Explore the entire range of Body Mist/Spray available on Nykaa. Shop more Natural Bath and Body products here.You can browse through the complete world of Natural Bath and Body Body Mist/Spray .